The assisted living industry is booming. Or perhaps, we should say, it’s baby booming! As the baby boomer generation (those born between 1946 and 1964) is reaching retirement age, the demand for assisted living and memory care will be skyrocketing too. And further, as medical diagnostics, treatments, and procedures continue to advance, so does the life expectancy of this aging senior population. This combination of timing and medical advances means that your aging parents and loved ones are more than likely to need long-term care as they age. Many families are currently over-stretched already—juggling the demands of family, full-time employment, a spouse, charity work, and a full calendar of obligations and appointments. Many are just not prepared to care for an elderly parent or parents around-the-clock. Also, many adult-children become overwhelmed with the role reversal of caring for a parent and emotionally may not be able to handle their needs. 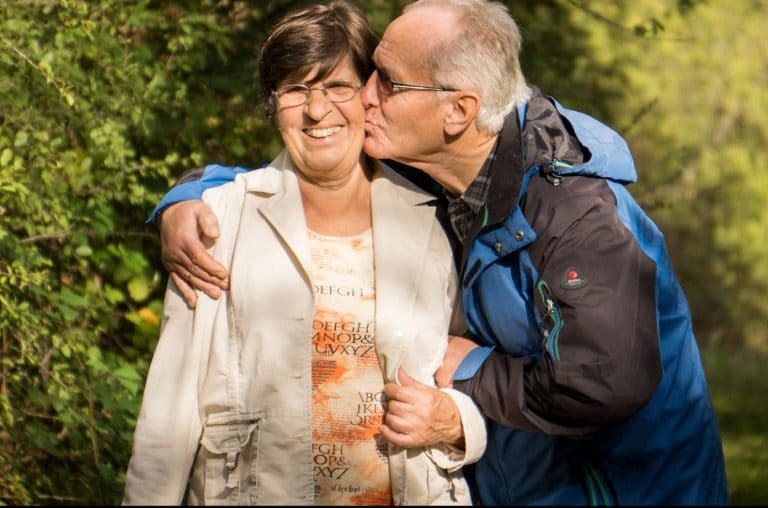 And if your parent does move in to your home, at some point, most caregivers will no longer be able to keep them safe and healthy without additional support, especially if your parent has been diagnosed with Alzheimer’s or another form of dementia. The world is now facing the “silver tsunami,” a steady wave of aging parents and loved ones who will need assistance in the near future. And this trend will have a considerable impact on families as well as the assisted living industry and our healthcare system. 10,000 baby boomers turn 65 years old every day. 5% of the U.S. population is 65+. This will double by 2030. 5 Million health care professionals and direct care staff will need to be hired to keep up with demand by 2030. Innovations in Design and Services. Other than the sheer growing number of seniors, the senior housing industry will be impacted in different ways. With a savvy group of baby boomer consumers, the amenities, and services offered will need to cater to their way of life. No longer is the sad “old folk’s home” of yesteryear acceptable but innovation, technology, activities, and comfort will be essential to consumers and their adult children. Aegis Living’s CEO and founder, Dwayne Clark, started Aegis Living with the determination of creating a new standard in the senior housing industry. He realized there was a better way to serve aging loved ones. As a young man working his way up in the assisted living industry, he kept a box of dreams, ideas, and innovations that would later form the foundation of Aegis Living. Today, each community has a similar “black box” to hold these ideas and continue to revolutionize this industry. And these innovations and new ideas will continue to evolve to meet the unique needs of the baby boomers. Aegis Living is never happy with the status quo in the industry. Top management, who have their own personal stories of caring for a parent, are committed to set new standards of care and will continue to push the envelope to provide the best for our residents. Aegis Living empowers and challenges staff members to find unique ways to provide comfort, rekindle fond memories, and delight residents. Innovation is encouraged at every level – whether that is the re-creation of a 1950’s campground in a memory care wing, chef-prepared seasonal menus of the best locally-sourced products, elegant interiors that rival five-star hotels, beer-making from growing hops to bottling, or investing in technology to provide the best healthcare for residents. It is this tireless approach that has won the hearts of residents, their families, and dedicated staff—and will continue to win the hearts of these new consumers in the future. With this looming demand, senior living companies must plan for growth to accommodate this new wave of residents. Aegis Living is opening new buildings, and breaking ground on others. The development team is scouting new locations to better serve communities in need of more senior housing. Most recently, Aegis Gardens in Newcastle, Washington opened to better serve the Asian senior community with an assisted living and memory care community offering a rich culture, authentic cuisine, and enriching activities for all seniors. This summer, Aegis Living will open two new communities in the Seattle area. The first is Aegis at Ravenna in the heart of Maple Leaf and the second is Aegis of West Seattle. Once those two have opened, all efforts will be focused on the next community on Mercer Island. All of these new communities are in Washington State, with many more currently serving residents in California and Nevada. “The industry will need to evolve to meet the unique expectations of the growing senior population, with innovation, activities, amenities, and entertainment that is cutting edge and all under one roof,” says Tom Laborde, Chief Operating Officer at Aegis Living. To learn more about how Aegis Living is planning to meet the needs of the next generation of seniors visit the community nearest you.